Figure 2: An energy systems diagram of a hypothetical Landscape Machine described by making use of COOS – the key concepts of evolutionary thermodynamics described by Tiezzi. A set of interacting processes, energy and material flows that resemble functions and services performed by a hypothetical landscape machine. 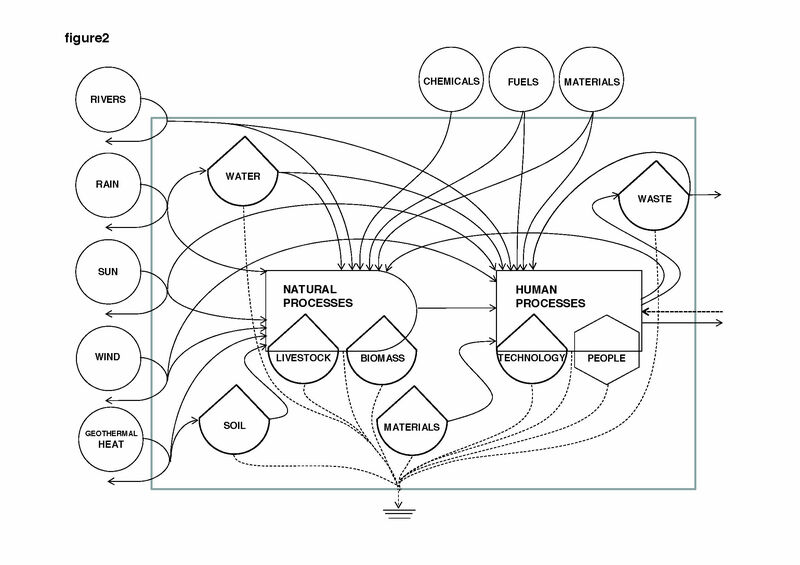 Processes, systems and connections among them have a spatial and temporal dimension, each of which is the potential object of a deep investigation and design. 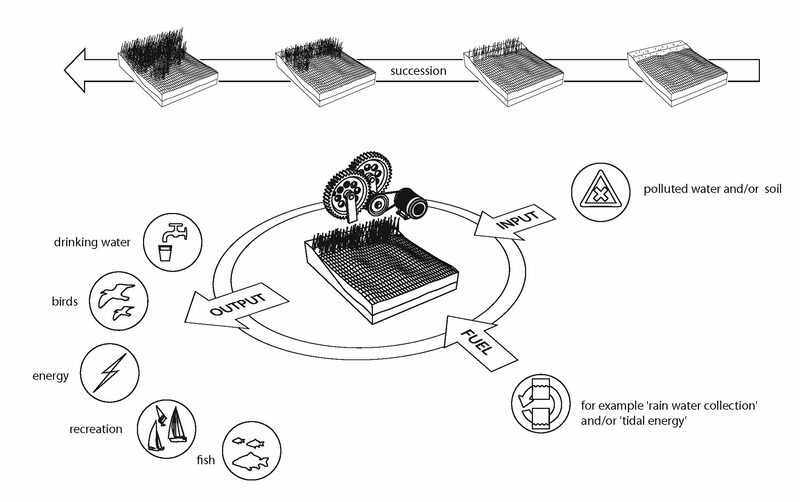 By Riccardo M. Pulselli 2012.
define nutrient cycles geographically and describe what has to be connected/isolated? A rather pragmatic part of the procedure is to administrate an input-output scheme of the metabolism. This scheme, together with accompanying cross sections that show the dimensions in the landscape, indicate what types of interactions may take place. We argue, and have witnessed, that such schemes can serve as the neutral ground for both the designer and the involved specialists to foster the research and design process. Tiezzi, E (2011), ‘Ecodynamics: Towards an evolutionary thermodynamics of ecosystems’, Ecological Modelling, (222), 2897-902.